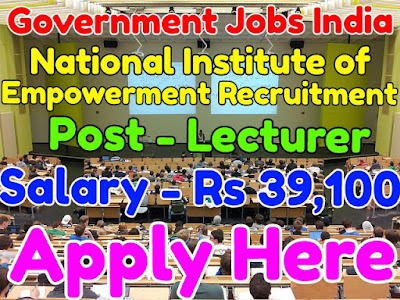 National Institute for Empowerment Recruitment Notification 2017 for 154 LDC, Lecturer Posts. 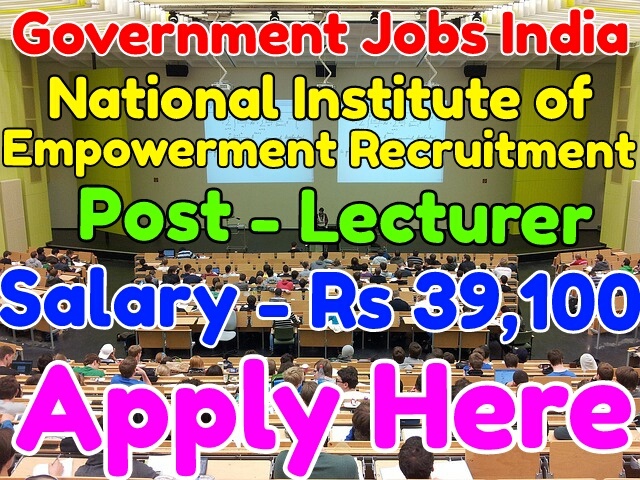 National Institute for Empowerment has published recruitment notification 2017 for 02 lower division clerk and lecturer posts. All legible and interested candidates have to apply on or before (17-02-2017). Further more information about given posts is mentioned in detailed below. 2. Lecturer in Psychology - 01. Age Limit - A candidate age should be 18 years. To know more about age details click on detailed advertisement. Educational Qualifications for given posts - To apply for the mentioned posts, candidate should must have done 10th, 12th, Diploma, graduation degree or its equivalent / relevant qualification from a recognized board or university. Selection Method - For national institute of empowerment recruitment, candidate will be selected on the basis of their performance in written exam and then interview. How to Apply - All legible and interested candidates have to download application form from official website www.nimhindia.gov.in or from given link below. Important Date to Remember - A candidate should must apply for the posts on or before (17-02-2017). Application Fee - Rs 500 for General / OBC candidates and No Fee for SC / ST candidates.